(CNN) The little that is known about North Korean leader Kim Jong Un is, for the most part, questionable. The year of his birth was supposedly changed to be more auspiciously aligned with that of his grandfather Kim Il Sung’s, just as his father’s had before him. He may or may not have three children. He may have an explosive temper, something his former girlfriend reportedly experienced during his school years in Switzerland. Keen observers have said he’s sick, and suffering from gout. They’ve said he’s isolated and in danger of being overthrown, and that there are assassination plots against him. That he’s weak and spoiled and surrounded by yes-men. It won’t be long, defectors claim, before he’s gone. There’s no sign, however, of that happening any time soon. 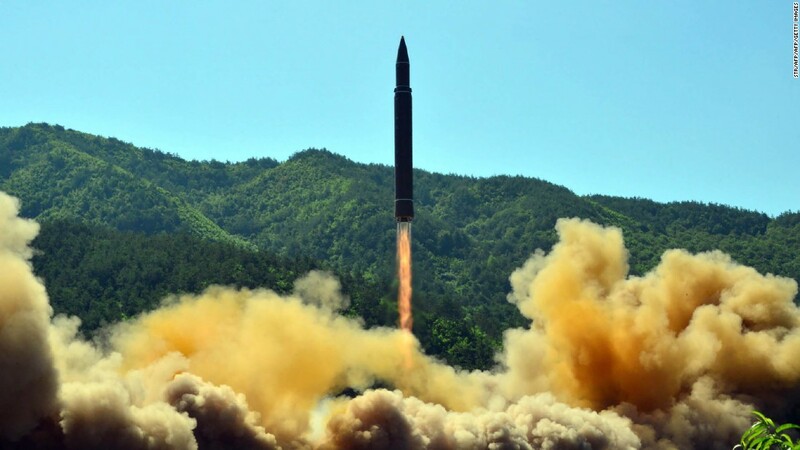 After a prolific year for missile tests, and threats of military action from the US if Pyongyang doesn’t desist, North and South Korea will on Tuesday hold their first talks in almost two years. While the premise is negotiating the North’s participation in the Winter Olympics in South Korea next month, hopes are high they’ll lead to wider talks. Kim Jong Un has not indicated he’ll stray from his stated ambition of developing the country’s nuclear capabilities. 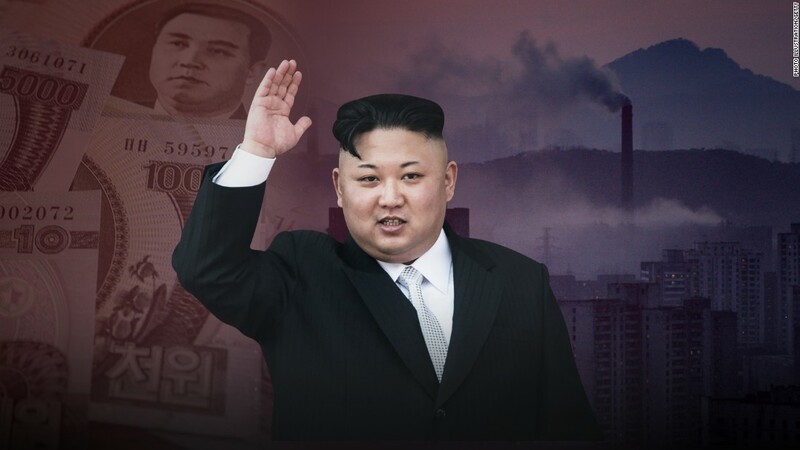 Since his ascension to the supreme leadership of the Democratic People’s Republic of Korea, as North Korea is officially known, Kim has wasted little time embracing his grandfather’s dual-track policy of military development alongside economic growth. He attends military drills and exercises and mans artillery posts (official propaganda declares he is a military genius.) He inspects bases within view of South Korea and adopts a posture of resolute command. At the same time, he has shifted the power base away from the military and back to the ruling Worker’s Party. He summoned a gathering of the party congress last year for the first time in 36 years. He pushes economic development and high-profile construction projects. And he is as focused on nuclear advancement as his forefathers were before him, arguably even more so. Yet his belligerent stance could have as much to do with facing down domestic rivals skeptical of a young heir apparent and his ability to govern the isolationist state as it has with presenting a veneer of invulnerability and strength. South Korea has its own longstanding narrative, portraying the northern regime as weak, isolated and unstable. Government sources have leaked “credible” information that was later proven to be false. For example, in 2015, it was widely reported that Kim executed architect Ma Won Chun because he didn’t like the design of Pyongyang’s new airport. Ma later appeared in state media, seemingly alive and well. All conclusions over Kim Jong Un’s motives are speculative at best, and preposterously hysterical at worst. In the 1990s Kim and his two siblings were sent to school in Bern, Switzerland, where they studied German and French, and mingled with other international students. The maternal aunt who looked after them later defected to the US. She and her husband spilled details to American intelligence that authorities were unlikely to obtain elsewhere about the mysterious Kim family. “I encouraged him (Kim Jong Un) to bring his friends home because we wanted them to live a normal life. I made snacks for the kids,” said the aunt, Ko Yong Suk, in an interview with the Washington Post. “They ate cake and played with Legos.” Kim Jong Un was 12 years old at the time. She says they visited a Disney amusement park in Paris, swam in the French Riviera, dined in restaurants in Italy and skied the Swiss Alps. It was largely this continental education that had cheered Western observers when Kim Jong Un was named his father’s successor in 2010. They’d hoped he would usher in a new era of openness with the outside world. Ko Yong Suk confirmed what many now know, that Kim Jong Un was obsessed with basketball. He played constantly. He even slept with a basketball, she said. His classmates later recalled to reporters that he had the newest Sony PlayStations complete with basketball games and the latest Air Jordan shoes. But Ko said Kim Jong Un had known since his 8th birthday party that he was destined for more important things. He was gifted a general’s uniform, she said, and that at the party, real generals bowed to the eight-year-old Kim. “It was impossible for him to grow up as a normal person when the people around him were treating him like that,” Ko said. Ko said she and her husband decided to defect after her sister, Kim Jong Un’s mother, was diagnosed with breast cancer. 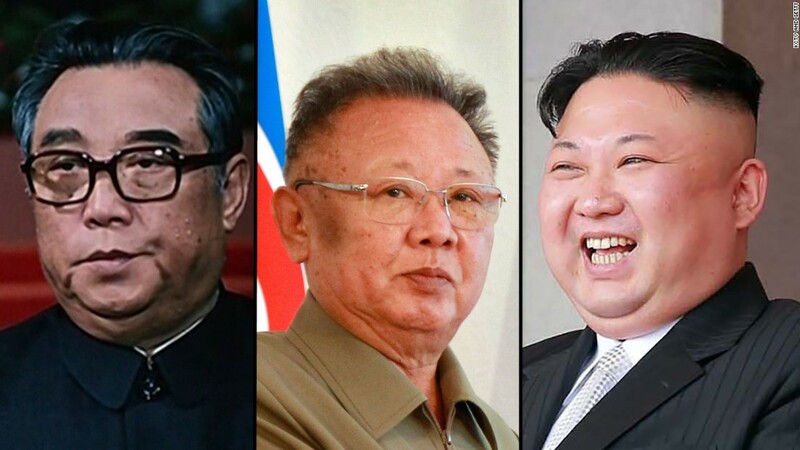 Once she was gone, they believed they would have no champion within the inner circle of power in Pyongyang to protect them. They moved to the US, opened a laundry business, and sent their children to American colleges. In her interview with the Washington Post, Ko spoke of the hope that they might one day be able to return to North Korea. Ko and her family are unlikely to find a welcoming reception should they ever return. Since assuming the mantle of leadership, Kim Jong Un has demonstrated a ruthlessness that has spurred even more fantastical theories about his personality and what motivates him. 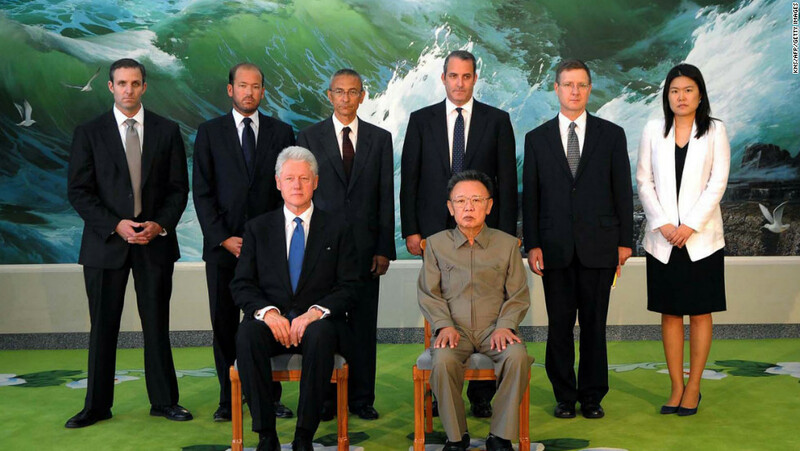 Unlike his father, who was able to shadow Kim Il Sung for years before taking on the duties of Dear Leader, Kim Jong Un barely had a year’s public tutelage upon being anointed successor, and a four-star general and vice chairman of the party’s Central Military Commission, before Kim Jong Il died in December 2011. The public were still getting to know the young heir, still in his twenties, when he walked alongside the hearse carrying his father’s coffin during Kim Jong Il’s funeral in Pyongyang. Kim Jong Un did little to hide his emotions that day, wiping tears from his face as around him, people fell to their knees in despair. 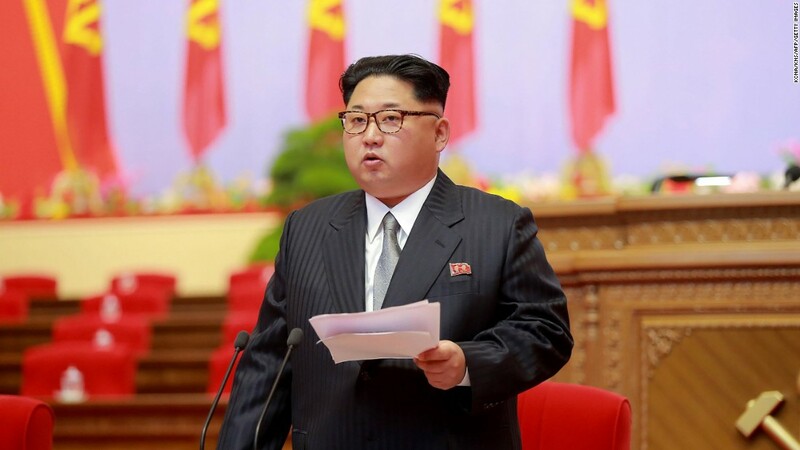 The newest Kim had to work quickly to acquaint the country with the notion of him in this new role and consolidate his rule among his late father’s cohorts. Observers speculated that the Great Successor was a puppet, manipulated by veterans of the ruling class, his uncle Jang Song-taek and his wife. His father, who’d been groomed for some 20 years to replace Kim Il Sung entered a period of mourning that lasted for three years when the nation’s founder passed away. 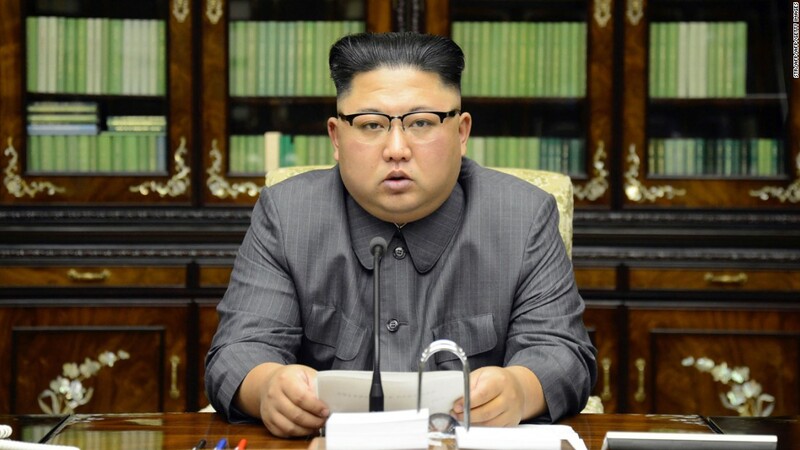 By contrast Kim Jong Un made his first speech to the public a mere four months after his father’s funeral. His tenure, then, began on a brutal note. A purge of dozens of senior officials. Then, the political isolation and execution of his uncle and mentor followed shortly after. In 2015 there were more purges. And there was the complicated matter of a man he purportedly never met, his half-brother Kim Jong Nam, his father’s eldest son, who was passed over when Kim Jong Il came to naming a successor. Less than a month after Kim Jong Un took power, a Japanese journalist published emails he had exchanged with Kim Jong Nam — then in exile in the Chinese controlled territory of Macau — in which the North Korean said he was concerned over whether his half-brother would “be able to satisfy the needs” of the people. Critically, he also questioned the transfer of power to a third generation of the same ruling family, all things that are anathema to North Korea’s ruling elite, whose main purpose is to maintain the strength and durability of the Kim family regime. After the emails were published in a book, Kim Jong Nam kept a low profile, under the alleged protection of the Chinese government. But on February 13, 2017, while traveling overseas, two women were caught on camera at Kuala Lumpur International Airport wiping his face with a substance that police later said was a VX nerve agent. He died on his way to hospital. North Korea has denied anything to do with his death. South Korean intelligence officials say Kim Jong Un directly ordered the killing. The two women who carried out the act against Kim Jong Nam face murder charges in Malaysian court. To observers, the killing of his half-brother demonstrated Kim Jong Un’s ruthless determination to consolidate power, eliminating not only open criticism of his rule, but also the possibility of being supplanted by someone who was considered friendly to the West. Since he took office, North Korea has doubled down on its refusal to countenance criticism or attacks on its leader. 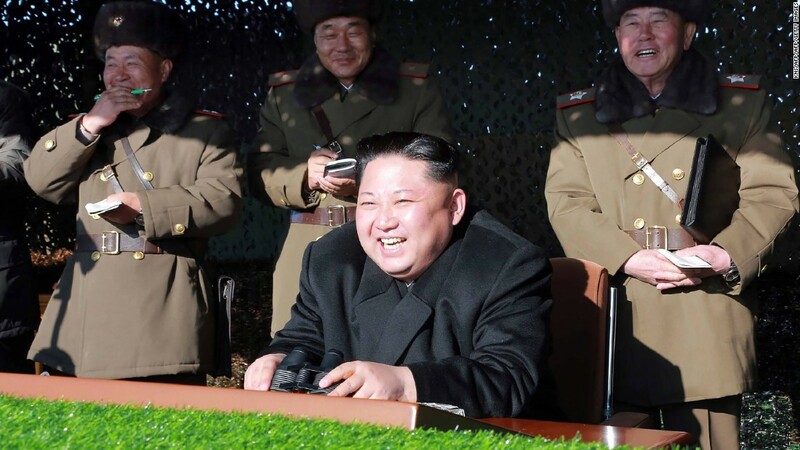 To the ruling elite, lampooning Kim Jong Un was no different to mocking the Hermit Kingdom, something Sony Pictures discovered after its release of the film The Interview. The comedy depicted a journalist who was granted an interview with the North Korean ruler and is then tasked by US authorities to assassinate him. When the movie came out North Korea’s National Defense Commission said President Barack Obama was “the chief culprit who forced Sony Pictures Entertainment to indiscriminately distribute the movie” and blackmailed movie theaters into showing the film. North Korea later claimed it had nothing to do with a massive computer hack at Sony, which downed computers, froze email and leaked scripts, internal documents and employees’ salaries. Almost from the beginning Kim Jong Un has been styled to remind his people of his grandfather, Kim Il Sung, the founder of the nation and a symbol of the prosperity and growth North Korea enjoyed under Soviet patronage. 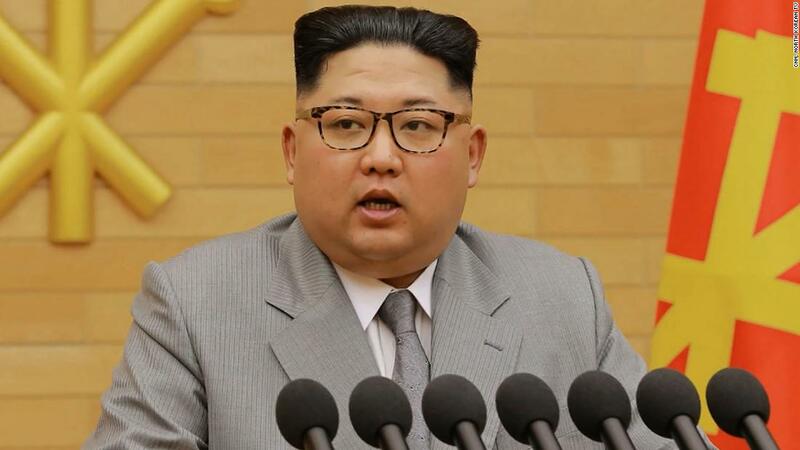 The uncanny resemblance Kim Jong Un bears to his grandfather has reportedly been exaggerated even further with the younger Kim modeling a similar haircut and wearing similar clothes. 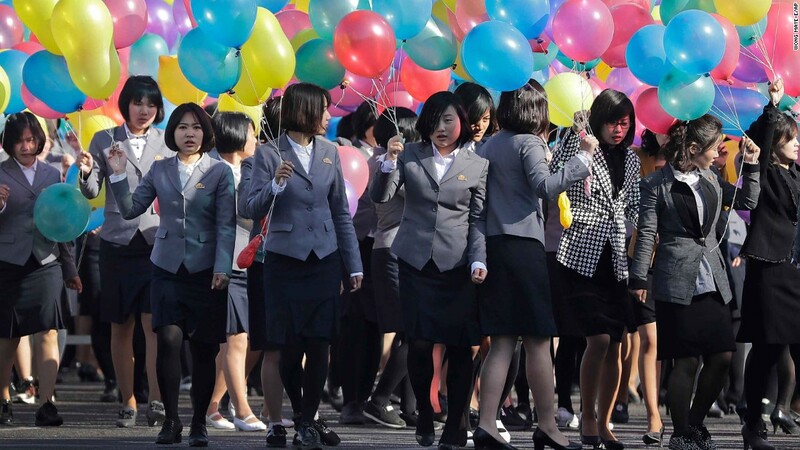 For many North Koreans, it is a welcome sight. Kim Jong Il’s rule was almost impossible to consider without recalling the difficult days of the Great Famine, when reportedly around 3 million people died of starvation. Kim Jong Un is regularly filmed meeting people, holding their hands and giving them hugs, asking workers about their tasks and appearing actively interested in even mundane aspects of factory life, a marked contrast to Kim Jong Il who grew increasingly isolated in his later years and made fewer and fewer public speeches and appearances. The legacy Kim Jong Un carries is also beset with the expectation that he will finally achieve what both his father and grandfather had long pursued but never attained: transforming North Korea into a legitimate nuclear power. 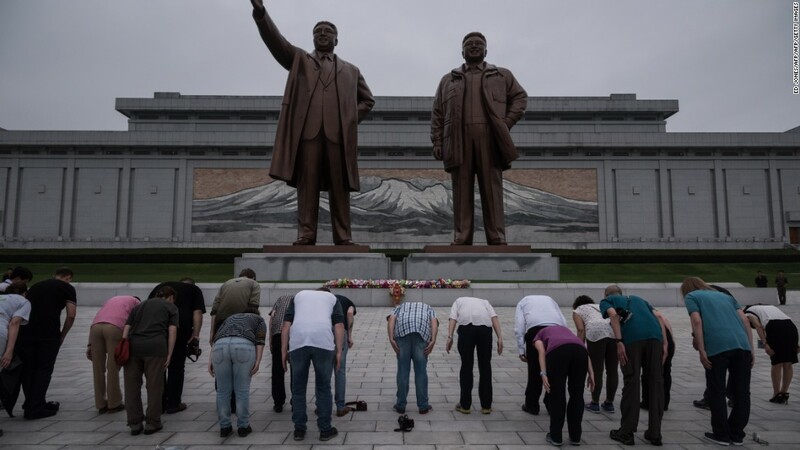 A program that was begun under Kim Il Sung and continued under Kim Jong Il, is now viewed by Kim Jong Un as the sole guarantee of his regime’s longevity. Whether he can realize that ambition and what happens if he does — remains unknown.